Calusa Veterinary Center would like to introduce our September 2017 “Pet of the Month”. Goober was rescued from a puppy mill and made his way to Florida. An ex-employee at Calusa offered to help find Goober a home, as he was on his way to a shelter. 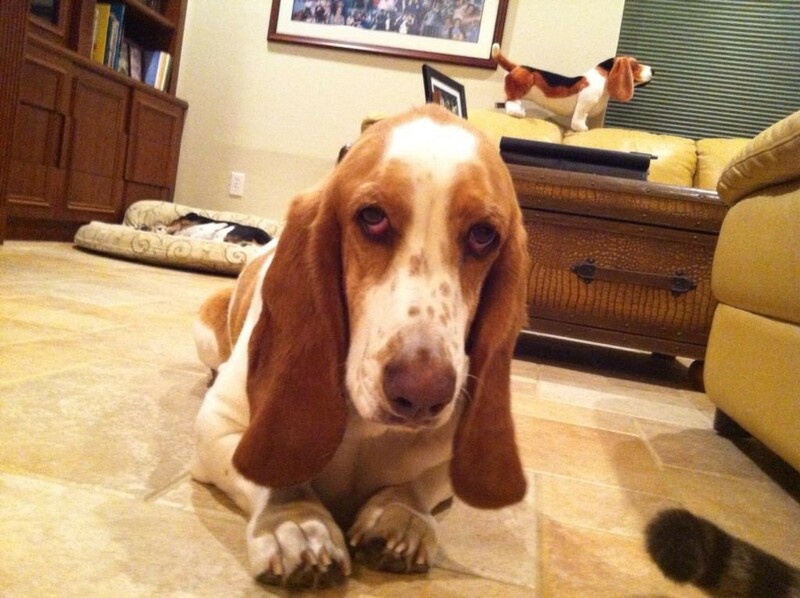 Dr. Krane suggested she call us as we already had 2 rescued Bassets. Goober is the most sensitive and emotional dog I’ve ever met. He not only is a surrogate dad to 3 kittens that were born on our lawn five years ago who we adopted, he always kept vigil and a watchful eye over our other Bassets as they aged and passed on. He loves to howl with his pack friends at the dog park to “Happy Birthday” and has entertained many. We recently adopted Figgy, a 4-year old beagle who Goober has taken under his wings. Congratulations to “GOOBER” and The Lyman Family for being voted Calusa’s September 2017 Pet of the Month!